Philippines is considered as one of the largest archipelago countries in the world - second to Indonesia. And according to the National Mapping and Resource Information Authority (NAMRIA), our beloved country has 7,641 islands from the famously known count of 7,107. But have you visited some of them? Lately, I've been addicted to Visayas Islands and Islets. 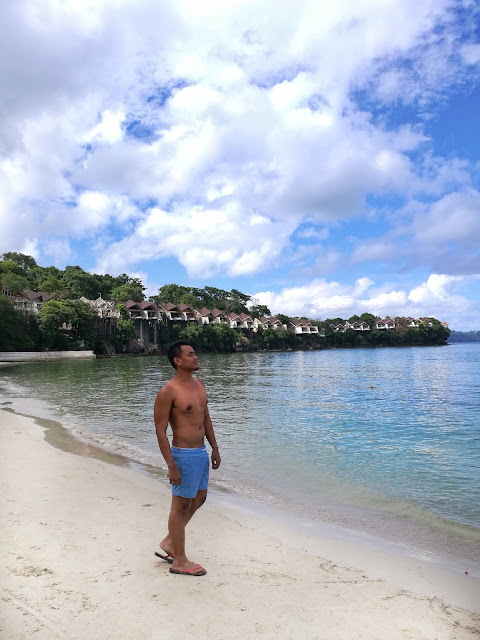 Loving the Carnaza Island in Cebu and of course, the beautiful Panglao of Bohol. Not to mention the wide and long white sands of Leyte's Islets. 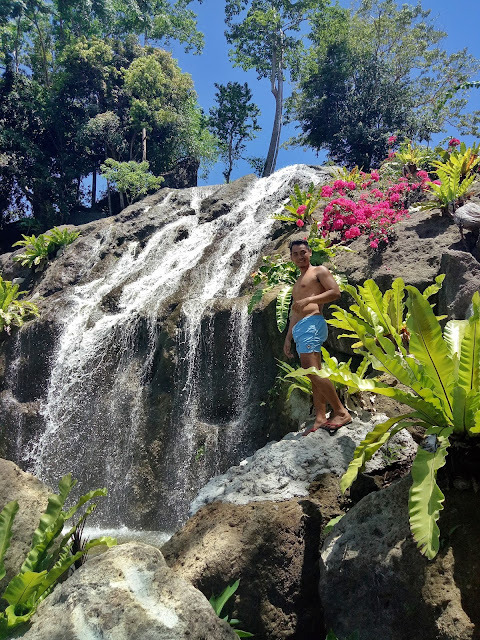 But last weekend was a discovery for me after I visited Zamboanga's best Resort, Dakak Park and Beach Resort in Dapitan. Why do you think? 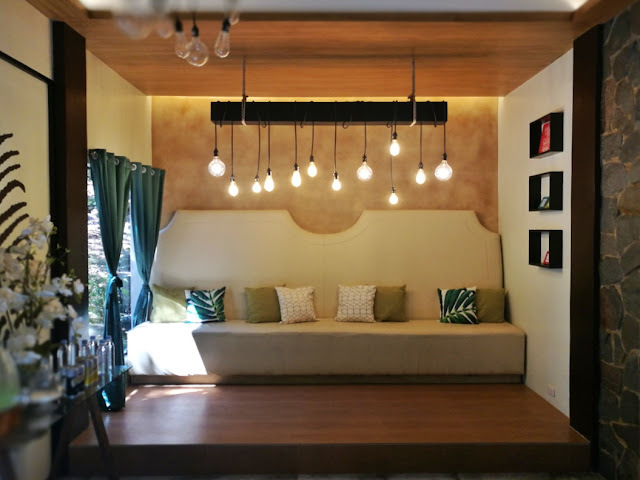 This article is powered by PLDT Home Fibr and Sun Cellular. Check the links for more exciting packages for you! Before I start, kudos to the management and organizers of Dakak's biggest Outdoor and Beach party, the Estivale 2018. 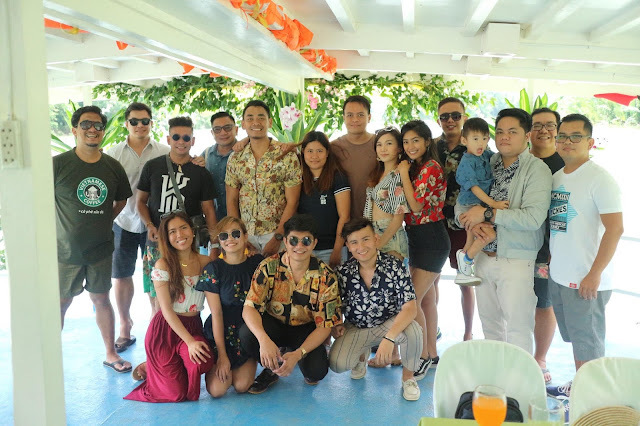 It was a blast and a successful one with performances by Sponge Cola, DJs Katty G, Clyde Harries and of course the world's sexiest DJ, Katty Q.
Bloggers during the river cruise. Wearing LloydandBehold.com Floral Polo and of course, taken by #TheDentistIsOut Blogger/Dentist, Doc. Xavier Gonzales Solis. Last 2016, I visited this resort for our family summer getaway. But last weekend, a lot has change - better changes. Dakak is not just about pool and beach, they got everything covered from relaxation to accommodation. Dakak Park and Beach Resort can fulfill our true meaning of summer vacation. Here are my Top 5 Reasons Why You Should Spend Your Summer Vacation at Dakak Park and Beach Resort! 1. OVERLOOKING THE SEA: They got Villa Angelina Luxury Suites. It's hard not to put this amenity at the top of my list. 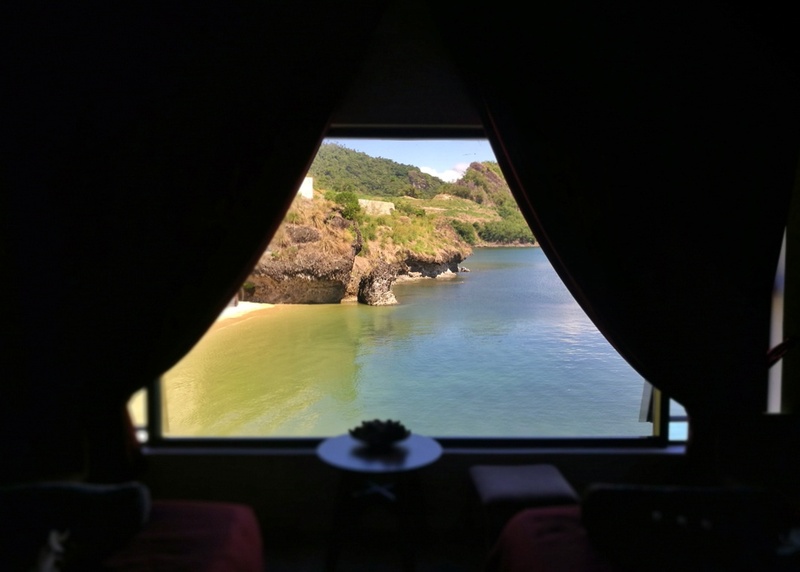 Imagine a room with an overlooking view of the beach plus a personal bath tub? You can play with bubbles while enjoying the vast view of the ocean. In addition, this famous sea-view is complemented with Villa Angelina Luxury Suites' infinity pool. 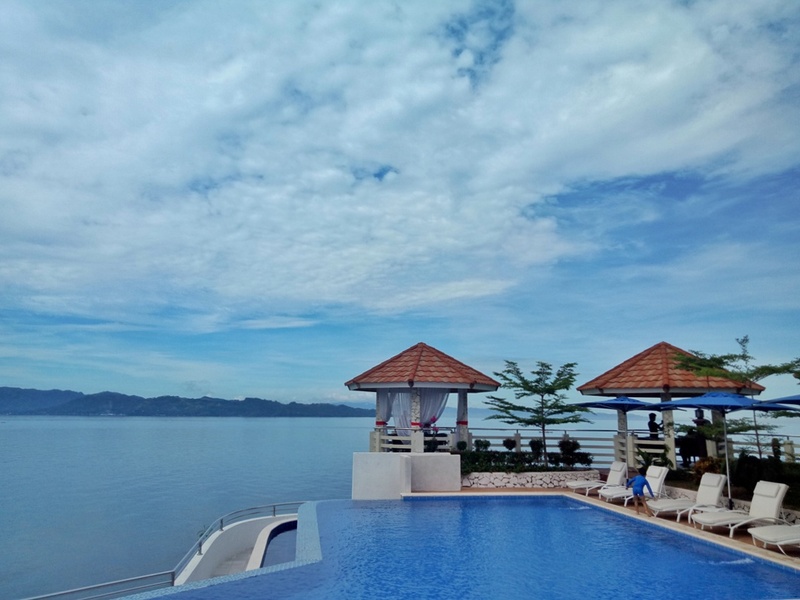 Yes, you can stay all night just chilling at the infinity pool near Yugo Asian Fusion Restaurant. 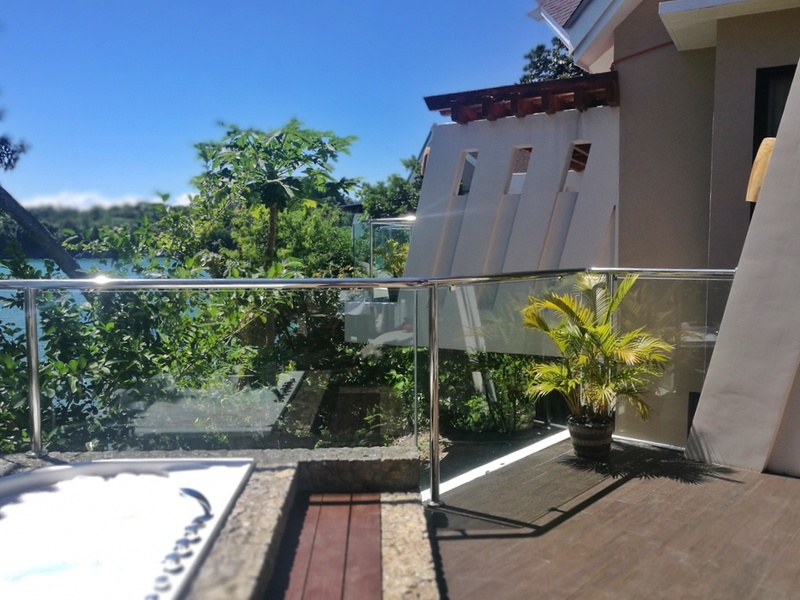 For inquiries or reservations, please call at 0916 650 4343 / 0915 318 5238 / 0946 643 1814 / 0918 803 8403 / 065 918 8000 local 129/602. A glimpse of Infinity Pool! I love sports but no, I don't have any kind of specific sports to play with. But for Golf-Lovers, you would surely love Dakak Park and Beach Resort's Golf Club Course. I'm not an expert of such game but their Golf Course is very wide and huge. I mean, we need to ride a van going to the top where the game starts. Also, the bird's eye view of Dakak Park and Beach Resort can be taken from there with your smartphone only - not with drone. Such an amazing property they got there. Just my signature pose from the top! But if you're not into Golf, you can also try Tennis, Billiards and Bowling and Wakeboarding, among others. For inquiries or reservations, please call at Call 0906 291 7646 or message them at Facebook, @dakakgolfclub. 3. ADVENTURE : Enjoy the thrill with Dakak's Adrenaline Junkies' Fave Activities. For Adrenaline Junkies out there, this spot is a must! If you're done with chilling and want to sweat it out, head to Dakak's Adventure Zone. 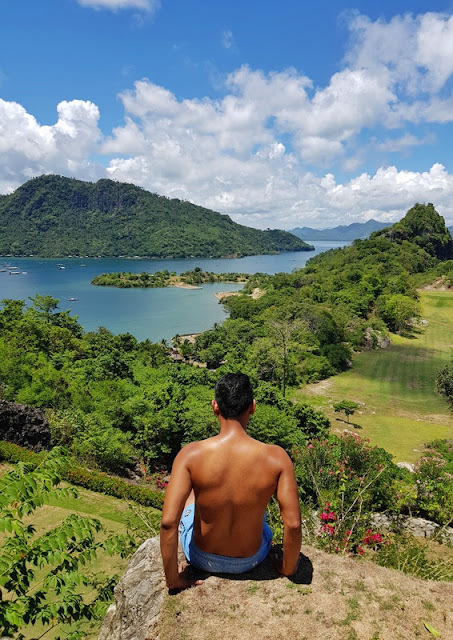 They got different activities such as Horseback riding, Rock climbing, Rappelling, Cove hopping and the famous Zipline. Just choose and you will surely enjoy your summer experience. 4. RELAX WITH A VIEW : The Spa at the Villa has everything for your relaxation. But if you're done with all those water activities and adventures, you can check out The Spa at the Villa for a relaxing and rejuvenating experience with a view of the other side of Dakak Park and Beach Resort. I got a good personal experience at The Spa. I came late in the afternoon after a sumptuous lunch at the Bamboo. The receptionist was very accommodating. I got the room for two which is very spacious filled with loosening fragrance - I definitely love the smell. 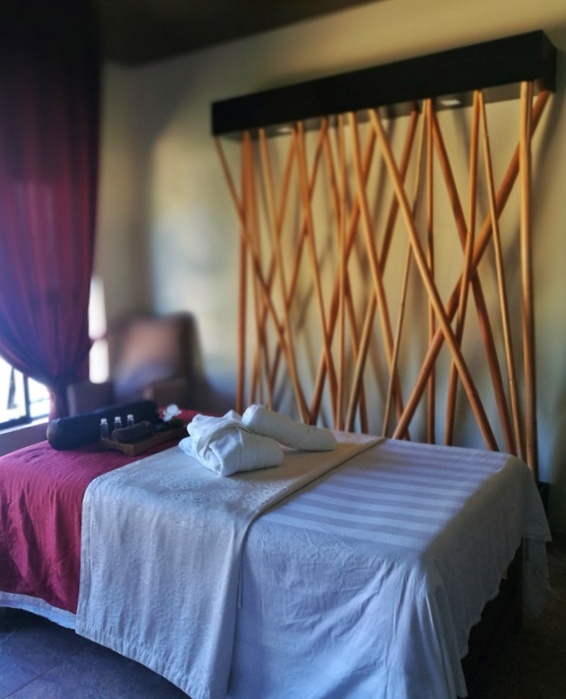 Not to mention the Masseurs' perfect and professional services. 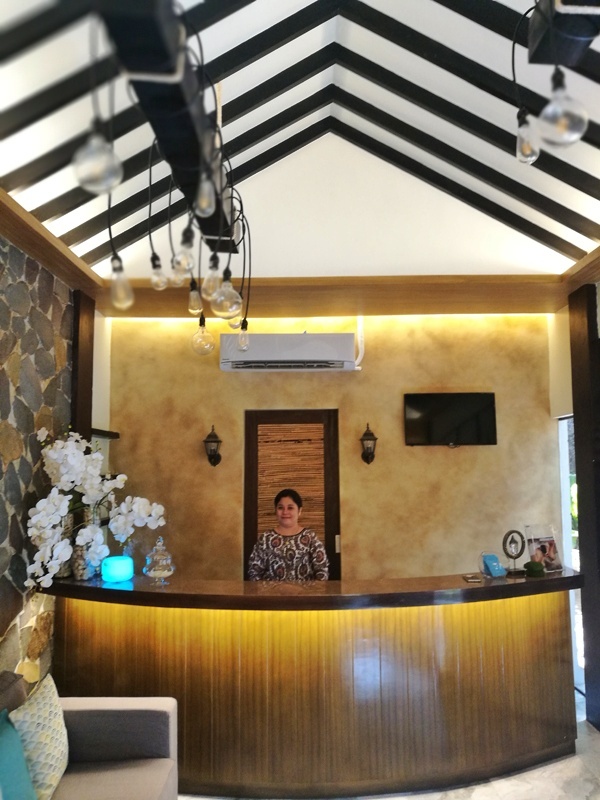 If you want to try their Spa, I personally recommend Dakak's version of Relaxing Swedish Whole Body Massage in just PHP 1,200. After a perfect 1 hour of rest, you can enjoy a set of recharging afternoon ginger tea plus cookies and chocolates served in your room. The view from my spa room. I'm ready for a relaxing massage! Dakak Signature Pinoy Hilot Whole Body Massage with Banana Leaf Scanning. PHP 1600/1 Hour & 30 mins. For inquiries or reservations, please call at 0916 767 1815 / 065 918 8000 local 404. 5. SUNDAY LUNCH BUFFET : Mindanao's famous Lunch buffet is available only at Le Bamboo Cafe. Seafood Sunday Buffet! Remember this as this the Resort's famous buffet every Sunday. Situated at the beachfront, Le Bamboo Cafe offers an eat all you can Sunday Lunch buffet for just PHP 1000.00 per pax. It is the huge meal I got during my stay at Dakak last weekend. I could not say no to my favorite Crabs, Shrimps and other seafood dishes. 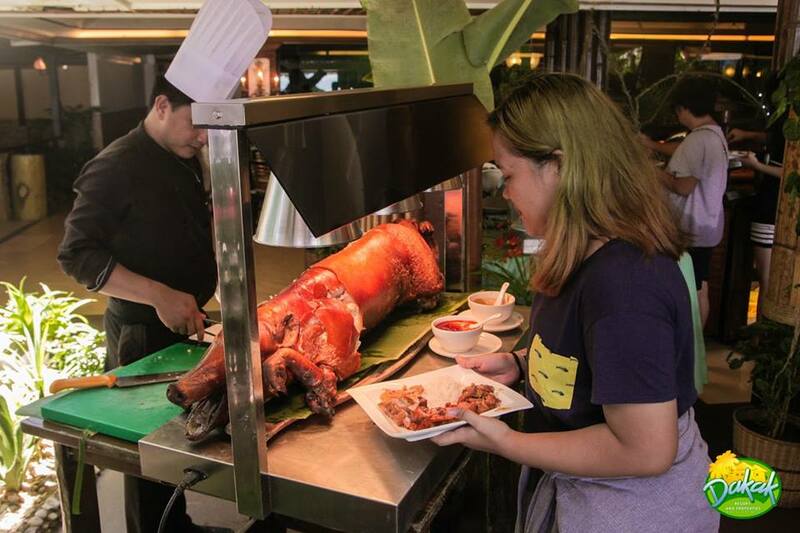 Not to mention the pork Barbecue and delicious Lechon served as the center of attraction. I'm even drooling while drafting this article. Sigh! They also have healthy choices such as salad, baked sweet potato (kamote), vegetable dishes and some fruits. Promise, this is a must-try and remember, when in Dakak, no to DIET! For inquiries or reservations, please call at 0956 722 9970. To give you a preview, check out the video below. 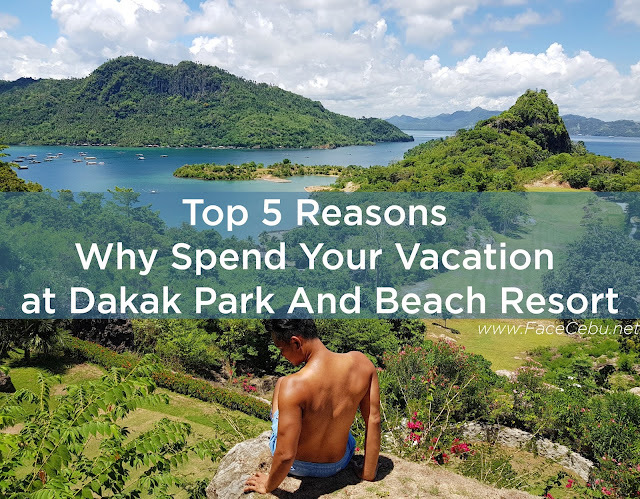 How to go to Dakak Park and Beach Resort if you come from Cebu? 1. 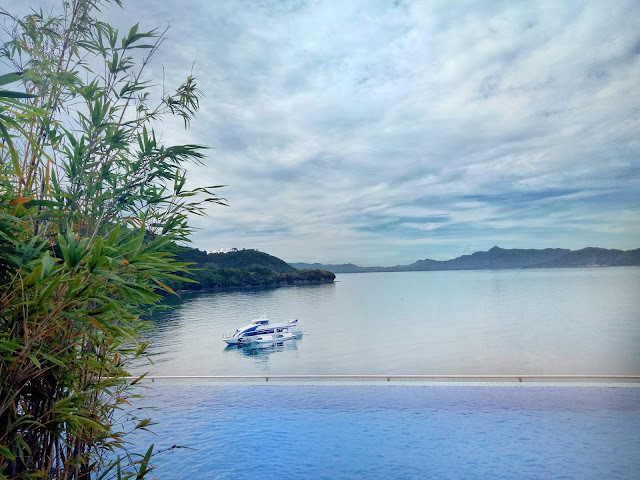 From anywhere in Cebu, you can book a direct travel to Dapitan via George and Peter Lines. For BOOKINGS, click the link. 2. Get your Ticket from GP Lines situated in Pier 2, two-three hours before your departure time. 3. You can also print your ticket personally. 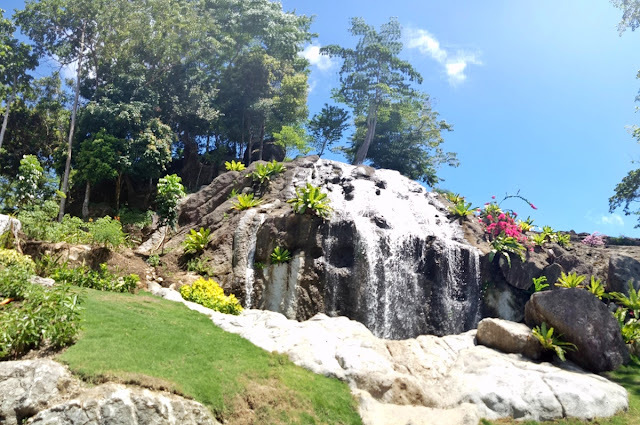 Going to Dapitan is easy and comfy with GPLines. We missed to get the Tourist type of accommodation going to Dapitan but we got the air-conditioned Yellow Economy type. I don't actually slept during travel time especially via boat coz I got this weird feelings but no, that weekend is an exemption. While my Cebu Bloggers Society friends are enjoying each other company with chit-chats, I was in my sleeping deck resting like a log. How much more when we were lucky to get the Tourist type of accommodation going back to Cebu on Sunday? I could not put into words but for affordable and comfortable sail, book with George and Peter Lines. Awesome! !make me wanna go see Dakak! This is awesome, i will surely visit this paradise! I agree sir Keith! The best ang Dakak! Looks like a tropical paradise. As does much of the country dude.